Stuttgart is home to German car manufacturers Daimler-Benz and Porsche, each of which has a car museum open to the public. This charming city is located in the middle of a wine region. Discover the Old Palace (Altes Schloss), a symbol of Wüttemberg’s state history, which houses the outstanding state history museum, the Landesmuseum Württemberg, or pay a visit to the State Theater, to the marketplace or to any of a number of landmarks with our professional chauffeur service. We will take you to see the world’s first television tower, Stuttgart TV Tower, medieval castles, baroque residences, and splendid mansions, all of which can be found in this beautiful city and its surrounding area. Our chauffeur services are available on an hourly, daily or weekly basis. If you let us know when you book, we can make sure your driver can also act as a guide. TOP-ALLIANCE will help you make the most of your visit in Stuttgart. Planning a trip to or from Stuttgart? Take advantage of our reliable airport transfer service. TOP-ALLIANCE will help you make the most of your Stuttgart visit - the city that has made architectural history. Planning to attend an important meeting or event in Stuttgart? Choose our professional limousine service and we’ll get you there safely and on time, ensuring that you are relaxed and confident when you step out of one of our comfortable, elegant vehicles. 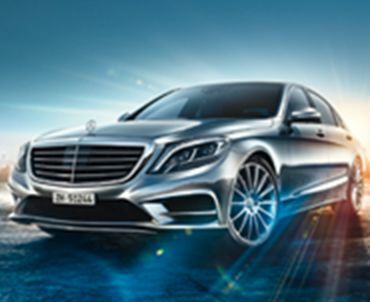 Our late-model fleet offers a wide range of exclusive business class vehicles for transfers or first-class limousines for an elegant trip through Stuttgart. Opt for our hourly hire service and your chauffeur will be at your disposal for the entire reservation. For groups of up to eight people we offer our luxurious minivans or spacious buses for larger groups. Our friendly, experienced staff will be happy to put an offer together that is tailored to your needs. Contact our 24/7 live support team by phone or email. Booking is so easy, you can do it in three steps: Step 1: Select either a transfer (trips from A to B, say, to and from the airport or from the hotel to the convention) or an hourly hire, which means a dedicated chauffeur is at the guest's disposal for the time period you book. Step 2: Choose from our exclusive range of vehicle models and let us know how many passengers and how much luggage to expect, along the pickup and drop-off times and locations. Step 3: Select a payment method. We accept credit cards and bank transfers, or we can invoice you. TOP-ALLIANCE offers a friendly, experienced 24/7 live support booking team which will gladly help you with all your transportation needs. TOP-ALLIANCE - Your TOP address in Stuttgart. Services in the listed cities are provided by TOP-ALLIANCE and/or our partners.